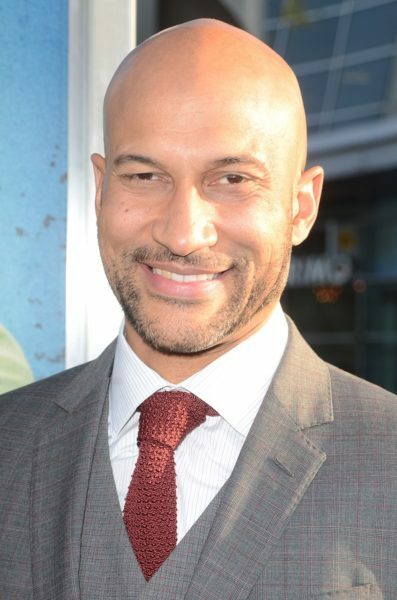 Keegan-Michael Key is an American actor, comedian, writer, and producer. He has often worked with Jordan Peele, and the two are known as Key & Peele. He was adopted by a black father, Michael Eugene Winfield Key, and a white mother, Patricia Walsh, who has Irish and German ancestry. His biological parents have the same background: his biological father, Leroy McDuffie, is black, and his biological mother, Carrie Herr, is white. His biological paternal half-brother was comic book and television writer Dwayne McDuffie. Keegan-Michael is married to actress and director Elisa Pugliese. Michael Key’s parents are Willie C. Key and Rosa Winfield. Patricia Walsh’s parents are Earl Raphael Walsh and Alvina Freund. Probably has German ancestry. Herr is a distinctly German surname.